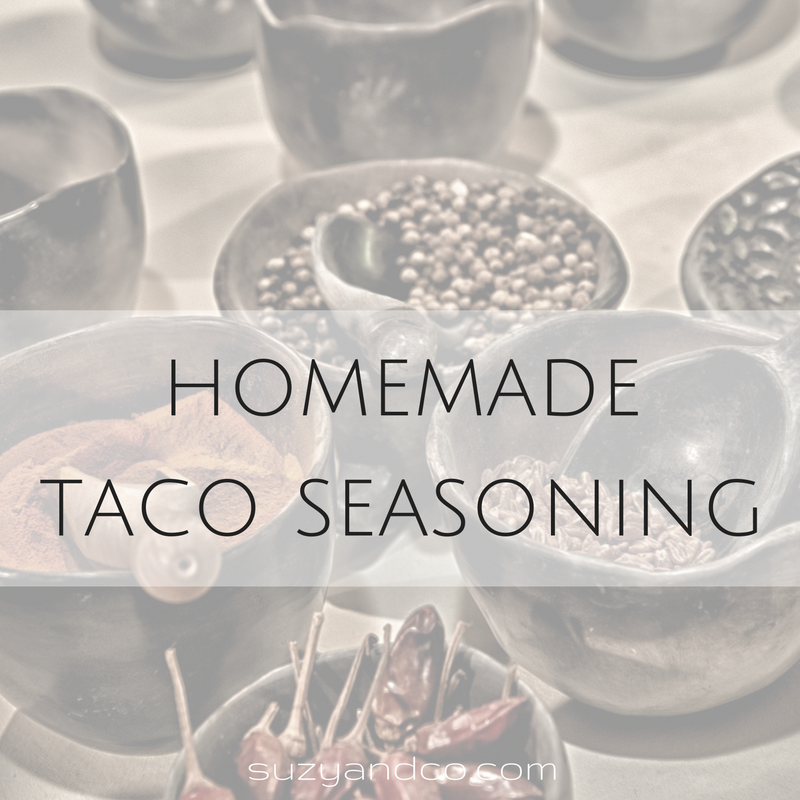 Homemade taco seasoning is so easy and very customizable. I have been making my own for years. I also love that I know exactly what ingredients go in it. If you double the recipe and make a big jar it will last you a while as well. I originally got this recipe from another blog, but that blog no longer exists. I have modified it over the years. Here is my version. Mix all ingredients in a glass jar. 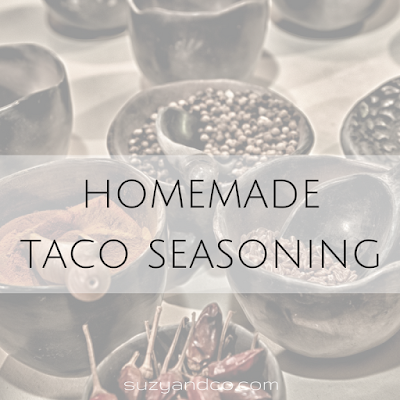 When making taco meat add one heaping tablespoon of taco seasoning mix with 3/4 cup of water. Add to cooked meat and simmer until most of the water has steamed off. You can also make this into a fantastic dressing.